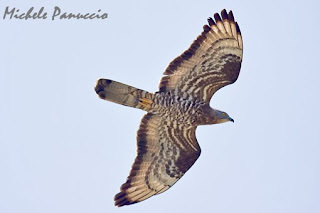 Yesterday was observed a peak in the migration of raptors at the Aspromonte National Park. About 1500 Honey Buzzards have flown over the Calabrian mountains and the Strait of Messina en route to Sicily. Further news will be published soon. 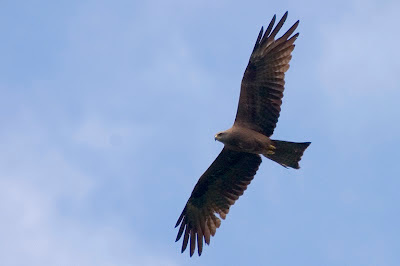 Two days ago a probable hybrid between Black and Red Kite has been observed. That bird showed intermediate charactestics between the two species, it was very pale in the lower plumage and had a reddish tail. 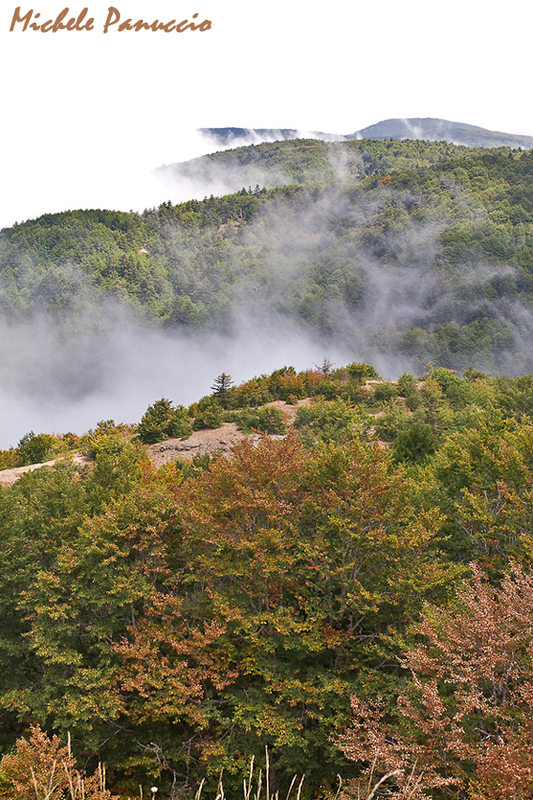 That bird passed over the peaks of Aspromonte and was observed at the watchpoint called "Nino Martino" (see the picture below). Yesterday about 400 Honey Buzzards migrated at the site together with an Egyptian vulture and one Short-toed Snake Eagle. The observations of the Dr. Martin Schneider-Jacoby at the island of Lastovo in Dalmatia have confirmed, about ten years ago, the hypothesis that a relevant flow of Honey Buzzards crosses the Adriatic sea in Autumn reaching the Africa through the Central Mediterranean area. This finding was the chance for us to know Martin Schneider-Jacoby and his enthusiastic approach to the protection and study of the Balcans wildlife. We are terribly sorry for this loss. With deep sympathy to Martins wife and childrens. Here below the epitaph of the EuroNatur Foundation. "On 15th August 2012 Dr. Martin Schneider-Jacoby died after a brief, severe illness at the age of 56. Ever since the founding of EuroNatur 25 years ago - and so for virtually half his life - he threw himself into the task of preserving the natural heritage of Europe: his commitment never faltered. 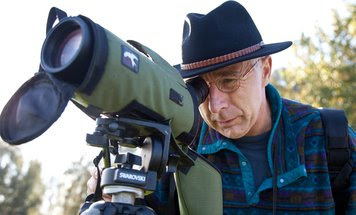 His dedicated work for nature conservation in the Balkans, a part of Europe he held very dear, is especially deserving of mention as is - equally – his passionate campaigning for the protection and habitat of migratory birds. It was not only the EuroNatur foundation that benefi ted from his store of experience, enriched over the many years. A far-reaching network of nature conservation partners over the whole of Europe benefi ted equally. His deep love of nature made Martin Schneider-Jacoby an excellent fi eld biologist, who knew as no-one else did how to infect others with his enthusiasm. The death of Martin Schneider-Jacoby is a heavy loss. We miss not only our longestserving member of staff and his exceptional competence in his fi eld but also a colleague and friend we have all valued. We cannot replace Martin Schneider-Jacoby. But we can do our utmost to carry on what he began in the way he meant it to be. Our heartfelt thanks go to him for his many years of exceptional commitment and involvement. And we wish to express our sincere sympathies to his immediate circle, his wider family and to all those who were close to him. The EuroNatur Presidency and the EuroNatur Team"
For the second consecutive year, MEDRAPTORS members are involved in the monitoring program promoted by the Aspromonte National Park. Up to now, in the first week of observations, a total of about 1300 raptors were detected. Most of them were Black Kites and they have passed along the Tyrrhenian side of the Park.